The Motorola Razr could be making a comeback as part of a deal between Lenovo and Verizon in the near future, but the iconic flip phone's return could introduce a foldable display as part of its redesign, as well as a hefty price tag of $1,500 that outweighs even the iPhone XS Max. Largely considered as one of the coolest mobile phones on the market before the arrival of Apple's iPhone, the Motorola Razr was a hugely popular product line that sold more than 130 million units globally following its launch in 2004. 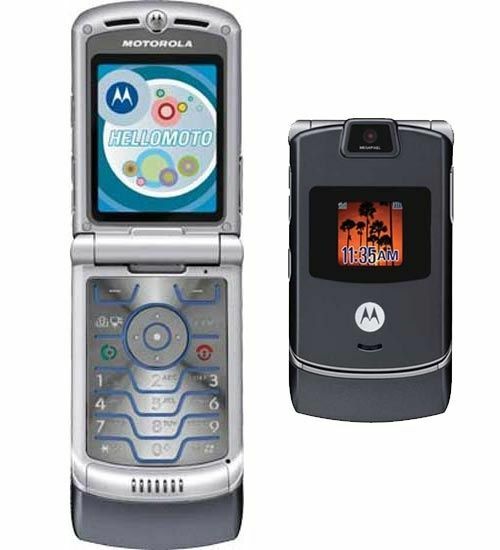 While Razr effectively died off because of the popularity of the iPhone, Motorola's hinged mobile device is thought to be making a limited comeback. Motorola Mobility owner Lenovo is planning to produce a revived version of the Razr that features a foldable display, according to sources of the Wall Street Journal. The smartphone is currently undergoing testing and the launch timing could still change, but it is anticipated to launch in February. It is thought Verizon has an exclusive deal to sell the new Razr models in the United States, with Lenovo tipped to produce as many as 200,000 units. It is unclear if that level of production is for global sale or just via Verizon. The addition of a folding display to the design follows a trend put forward by other smartphone and mobile device producers, including Royole's FlexPai as the first of its type to be sold in China, and Samsung's teasing of a similar device it may fully reveal in February. Apple has also been linked to the development of foldable displays, though the first iPhone sporting the technology may not arrive until 2020 at the earliest. It is unclear exactly how a foldable display would be implemented in the new Razr, but as it is a flip phone, it is plausible the design involves a full-body screen with a flexible section in the middle to allow it to fold up. Notably, it is suggested that the updated version will have a price starting from $1,500. While this is expected for hardware sporting new technologies, as is the case with a flexible display, it also puts the cost of the new Motorola Razr at more than a top-specification iPhone XS Max, which could limit its reach. This is not the first attempt at reviving the Razr brand to a modern audience. In 2011, Motorola worked with Verizon on the Droid Razr and other devices, though they took the form of a standard large-screen smartphone instead of a clamshell design. I was a bigger fan of the SLVR, but that's just me. I have to agree. There are some potential advantages to the foldable design - the screen is protected, larger display with less pocket space, in the case of the razor, the microphone is closer to your mouth. Of course there are signficant drawbacks too. Battery space is/has become the biggest limiting factor with phones and the required hinge takes up valuable space. Not to mention the fact that the larger display will take a proportionately larger amount of power with the now smaller battery. The biggest issue is material fatigue. How many times a day do you use your smart phone? 30? 50? 100? What material will stand up to being folded and unfolded 100,000 times over 3 years? Oh, and many people never talk on their phones anyway, so the microphone is a moot point. I'm actually quite intrigued by this. I was always a big fan of the original, owned 2 of them. 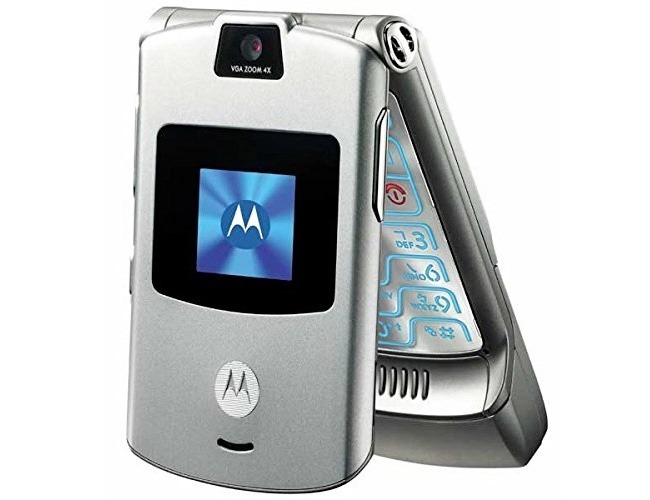 The last non Apple phone I owned was a Motorola V9 RAZR2, which was a great phone. Loved the external touchscreen display for music. So yeah, quite interested to see what they do with this. I had a RAZR and like it a lot. However, the KRZR I got after it was my favorite phone ever. We'll see how it looks, but I'm betting the battery size is going to be the limiting factor. It is going to be quite thick when folded if it has enough battery to last a full day. If Apple decides to do it, then it should be done. The whole thing seems asinine to me, but hey... let the market decide. Seems to me the software on it will be the limiting factor. Certainly an intriguing concept. I can see many advantages to a form factor like this. The execution not the graphic video will tell the tale. I’d rather have a separate roll-up display you bring out when needed, but use the smaller display when moving. I LOVED my black RAZR - best phone I ever had. Almost everyone in my family and social circle had one at some point. It was a great phone, but not very efficient at texting and horrible at taking pictures and just about everything else. The Razr was definitely one of the coolest smartphones released. I loved some of the whacky designs Nokia had. That said, my last non-Apple phone was a Sony, which I loved. When the iPhone came, nothing else ever came close. Very bad renderings with impossible physics in the bendy part. There's no way this won't look more like a Surface hinge in the middle - if it ever gets made. Love the idea, except for the expected $1500 price tag. Would get rid of my iPhone tomorrow and just use the watch with cellular, but even the watch needs the iPhone to be alive ‘somewhere’ for certain functions to work (i.e email). The RAZR was the best phone I ever owned. It just work, no drama with that phone and voice quality was very good and worked well with Bluetooth connected devices. The phone was durable held up to abuse. Oh, you mean the first cell phone with iTunes integration but that had a mandated 100 song sync limit? Whose public unveiling by Motorola was torpedoed by Steve Jobs just hours later with the “What’s this pocket for?” iPod Nano reveal at the Fall 2007 MacWorld keynote? The project that more than a few Motorola managers and engineers later suspected was a trojan horse Apple used to gain insight into the cell phone design and verification process in advance of the start of iPhone development?